Posted by stuffilikenet in 3D Printing, Awesome, Science, Video. New methods to 3D print piezoelectric materials that can be custom-designed to convert movement, impact and stress from any directions to electrical energy have been published in Nature Materials. The materials can also be activated — providing the next generation of intelligent infrastructures and smart materials for tactile sensing, impact and vibration monitoring, energy harvesting, and other applications. Unlike conventional piezoelectrics, where electric charge movements are prescribed by the intrinsic crystals, the new method allows users to prescribe and program voltage responses to be magnified, reversed or suppressed in any direction. A factor in current piezoelectric fabrication is the natural crystal used. At the atomic level, the orientation of atoms are fixed. The researchers produced a substitute that mimics the crystal but allows the lattice orientation to be altered by design. “We have synthesized a class of highly sensitive piezoelectric inks that can be sculpted into complex three-dimensional features with ultraviolet light. The inks contain highly concentrated piezoelectric nanocrystals bonded with UV-sensitive gels, which form a solution — a milky mixture like melted crystal — that we print with a high-resolution digital light 3D printer”. The material has sensitivities 5-fold higher than flexible piezoelectric polymers. The stiffness and shape of the material can be tuned and produced as a thin sheet resembling a strip of gauze, or as a stiff block. “We have a team making them into wearable devices, like rings, insoles, and fitting them into a boxing glove where we will be able to record impact forces and monitor the health of the user,” said the chief investigator Zheng. 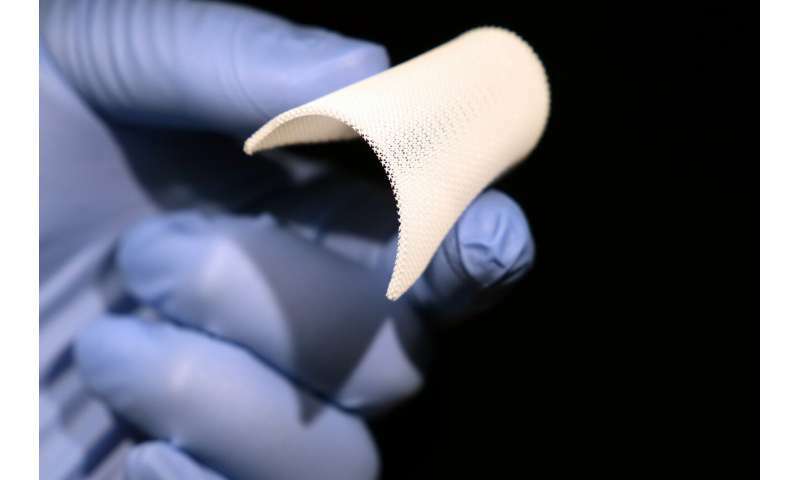 The team has printed and demonstrated smart materials wrapped around curved surfaces, worn on hands and fingers to convert motion, and harvest the mechanical energy, but the applications go well beyond wearables and consumer electronics.